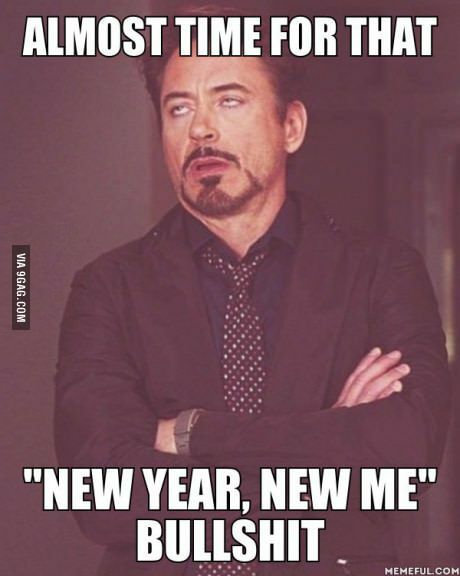 Almost every December 31st, I have the same conversation with people about New Years. I never make any plans, I hate staying up until midnight (I really don’t see it as anything other than another day), and I never make any resolutions. 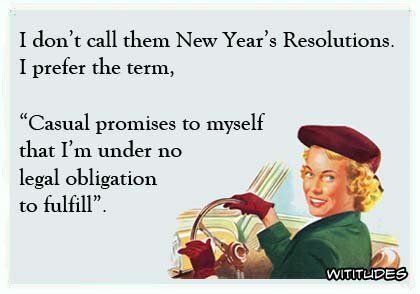 However, as much as I am against making resolutions, I am going to make some proclamations this year. That just sounds fancier. Like ya’ll should actually listen to what I’m about to say because it’s going to be earth-shattering (it’s not, but play along). I need like some trumpet fare or something. I’m very much the type of person who, every New Years, says that the next year I’m going to be a better person. There’s really no way I could screw that up unless I started like killing people or something (it’s always a great way to get around the “I don’t make resolutions” conversation). This year I’m going to say that I’m leaving 2018 in 2018. Cliché, I know. I am leaving the heartaches, setbacks, pain, stresses, whatever it was, I’m leaving it in 2018. At least the negative stuff. I’m done carrying it around. There is one negative thing that I am bringing with me into 2019, but it’s in an attempt to repair it, not dwell on it. The negativity is still staying in 2018. In 2019, I’m going to stop hiding behind excuses. A lot of that has already been cut out of my life and I’m moving on, I’m opening myself up to new things – in whatever form that’s going to take. I’m going to be open to new opportunities, relationships, experiences, dreams. Whatever it is, I’m going to at least give it a chance. In that mindset, I want to pursue my dreams more. I always have things holding me back from actually getting a dream of mine accomplished. But this year is the year I’m going to break that. I’m in the process of setting up a few online stores for my photography, and by the end of the year, I want to have at least one of the children’s books I have written illustrated and ready to be sent off to publishers. So if you know of any trustworthy illustrators let me know! And just for something fun for me, I’m going to teach myself how to do acrylic nails. Do you do resolutions? Are you willing to share them? How do you celebrate? Will you be like me and be in bed at like 11 thinking everyone is crazy for staying up till midnight for really no reason at all? Or are you going to be at a party/at home with family to toast in a new year? I don’t typically do resolutions. I have before, but I usually just wind up disappointing myself. I don’t like setting goals, either. Which I guess makes it sound like I don’t have anything that I aspire to in life. Maybe I’m just too cynical. I just don’t like the idea that everyone decides that only in January they can reevaluate and redirect their lives. I do that on almost a monthly basis! Lol I don’t reserve the right to look at what I need to change just for January. And I’m much more likely to follow through on those changes/plans if I make them as they come up instead of waiting until the new year to do things. I hope you have an awesome 2019! 🙂 I’m looking forward to following along with your year. I have a resolutions post going live tonight with some that are pretty attainable and nothing really new that I’m not already doing. I think a new year is a good time to reflect on your past year and see what little changes you can make but I feel like the big dramatic resolutions/changes never stick. Oh yes the big dramatic resolutions hardly ever stick. I found that a lot of mine are things that I’ve already put into place that just require a little bit of follow through, or that next step. Haha I’m excited for what this new year will bring too. And I just saw your post drop into my email so I’ll make sure to read it later this evening when I can focus on it! Happy new year! I think this is the first year I’ve treated New Years Eve as just another night and Lord it saved me money thinking that way! I think your goals are wonderful and practical. I didn’t even know you did photography! Let me know what your online stores are called so I can visit them! LOL you have one of my photographs 😝 but yes I definitely will let you know when they are up and ready! I always have about a thousand resolutions, that way I’m bound to hit a few of them! Also, I never ever try to stay up until midnight…although this year, I set my alarm for 11:55, got up, screamed once, hugged my kid, and was back in bed at like 12:01. Worked for me! I like your mindset! I don’t really make resolutions, but I set myself challenges… I find it’s more achievable than lose resolutions. 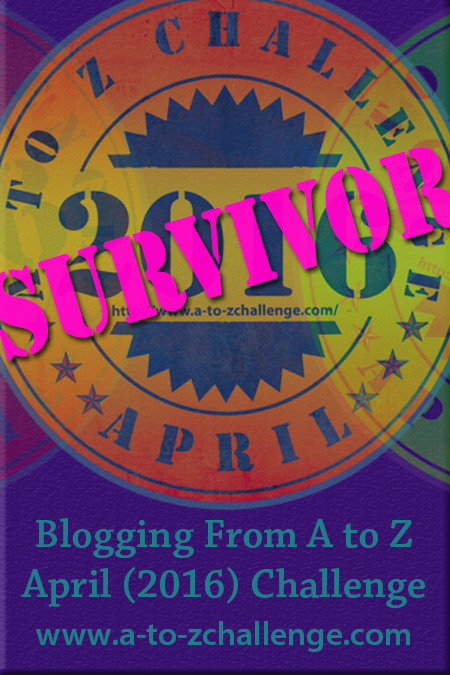 This year, I’m attempting to run a thousand miles! I had no idea you are a photographer! Good luck with your shops! Oh goodness! 1,000 miles?!? That sounds like soooo much lol good luck with it! I totally understand! Selling a photograph you took is quite an achievement. I was published twice and I sold a few photos and prints before and it gives you such a boost! I really wish you that you dream comes true. And let me know when your store is up, I’d like to have a look! Are you on Flickr or another portfolio website? One of my challenge for this year is actually to pick up my camera again after taking a whole year off from photography. It’s such a satisfying creative hobby! I wish you all the luck with both running and picking up your camera again! 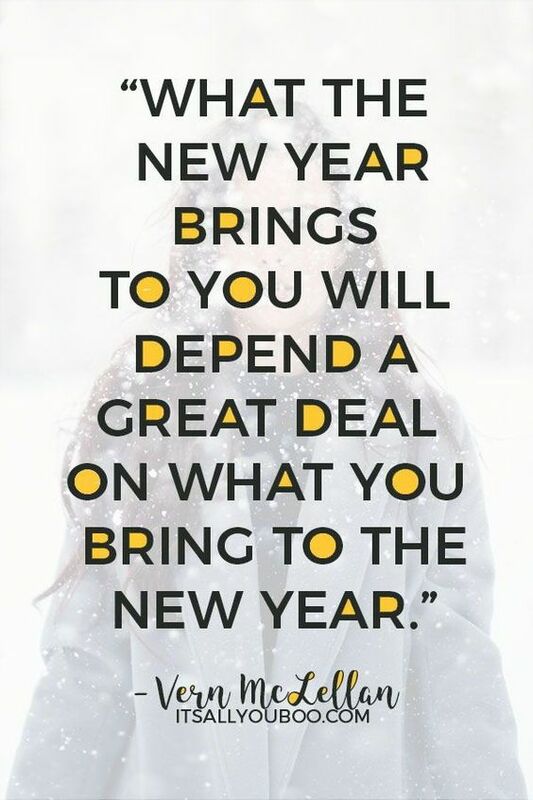 It’ll be a great year! Love your promises to yourself and I do more goal setting rather than resolutions.